Taking a quick break for food, I’ve made some progress with player movement and basic level layout(with placeholder graphics), next I just need to implement some game mechanics. So, I got my idea rather quickly this time around, and I’m trying my hardest to make something “simple” [scope is important boys and girls]. Screenshots #3 & #4 don’t look like much of an improvement, but that’s mainly because I was focusing on code and not art [also I slept in between them]. It’s fun tracking my progress like this, shows how slow I am haha. Well, the compo is a little over halfway done. Hopefully I’ll be able to finish my game in time to submit for the compo, if not, I guess I’ll take a little more time and submit for the jam. This was originally going to be a stealth game, but it turned into more of a puzzle game with stealth elements. I have mixed feelings on the hud as a whole, but I really like the (functioning!) radar. I still have to implement attacks for both the player and enemies, add more levels, add dialog for the story, add saving/loading, add some other story stuff, and add sound/music. I think I can do this. We’ve been at since a little after 11 this morning. A vet appointment (which happened last LDjam, but at the tail end) bumped our start time till we got home. “Keep it simple, stupid.” Or silly, if you don’t want to offend. We can get so carried away with what we think we can do and how grandiose to make this game. We stopped, simplified, and came up with some simple game play. The premise will be to clear a game board each round. Ghosts will be floating around the place, each of a different colour. Direct it to a skull, and it will reanimate to a zombie. That zombie will need some magic (that needs to match the color of the soul) to fully bond the body and the soul (which was the ghost.) Once alive and fully aware, the Pim will make it’s way to it’s colour portal and transport away. That clears a board, and a new round with more ghosts will start. Originally it was going to be just me with the graphics, but we both wanted in on this. This is great, because life happens, and already I’m freaking out about not finishing. To have another person just to bounce ideas off is fantastic, and to have the ability to rely on them is… even more fantastic? It’s great. I’m not alone in making graphics right now, and this is great! As a note, when thinking about the game play, we were concerned about the use of color. Using color as an important attribute for the game can mean that some people won’t be able to play well. Right now, it’s a concern, and we want to make it so that there is some way colour-blind people could play. We haven’t tested the colours we’re using yet, but we’re still concerned. For the time limit, we’ll see how far we get and if we can address this issue. We’ll be finishing the spritesheets we’ve been working on, and move on to our respective other tasks. We listen to SoundCloud a lot to get inspiration for the music. I’ll start the coding by not coding at all; I like to plan out as much logic and organisation on paper as possible. It’s awesome to see what other people have accomplished, and we are twitter-stalking as many of you as possible. Keep it up, everyone! Steffen has taken one of my favorite elements and animated it! The mouse in the conveyer belt will move around the rollers throughout game play. The mouse will be added on later and new adjustments will come to the WIP game on game jolt. Ben is catching some Zzz’s ATM. A gif of game play will be coming soon. You can follow updates on this awesome game, including first looks at the (f)art by following #PooDeePie on Twitter. Also, follow @SteffenWittig, @ThumbsBlue and @Kintinue! kitch is dying… a lot. Off to bed… but managed to cause quite a bit of damage tonight. The game fits in with the minimalism theme very well, while still being somewhat complex and interesting (at least by my standards). Game is feature complete. I’m very happy with it’s state this far in. All of the gameplay features are in, level control and difficulty are implemented, and even the menu states are complete. Spent a bit of time on audio this evening, and while it’s rough… it’s more ambitious than anything i’ve tried in a Ludum Dare before and i believe with a little polish, it will be quite the little go-getter (or a massive failure). I want the game to be difficult… but the kind of difficult that can be appreciated by the person that is playing the game for 30 seconds before they rate it. Currently we’re at the “rage quit and send death threats to the developer’s family” level of difficulty. The balance hammer needs to come out. 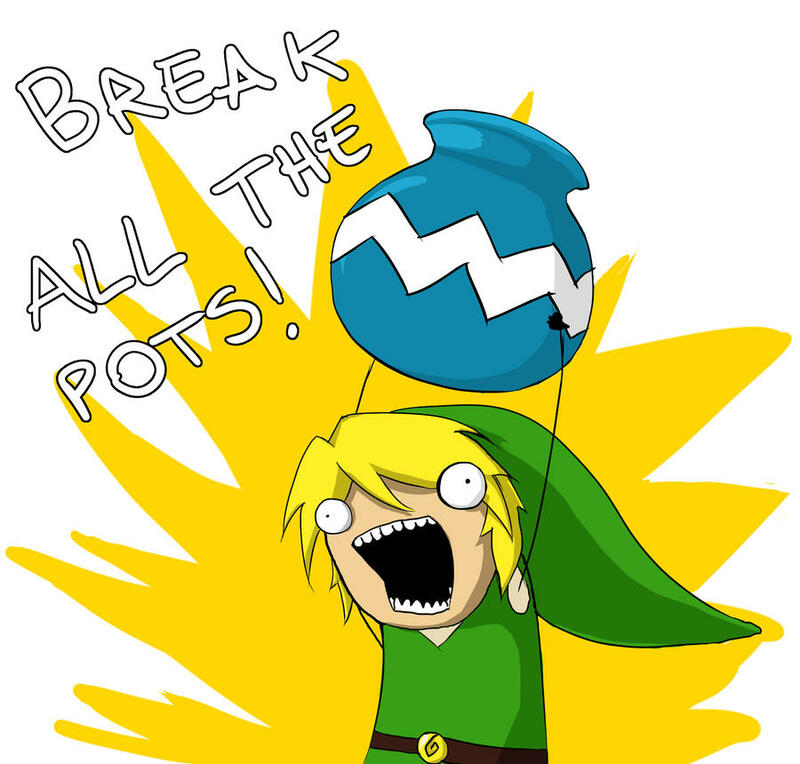 You can smash pots! what do you want more?!?? After screwing around with color palettes for WAAAAAY too long, I finally have something visible. I have a wonderful idea, but I have no clue if I can make it work. I may end up submitting to the jam because I really don’t have much time this weekend. My entry was pretty much done about 2 hours ago, I’ve just been polishing since then. I’m very pleased with what I accomplished this year! 29 queries executed in 0.128 seconds.